Located on the western slopes of Southern Sierra Madre, Rizal offers numerous quality trails for mountain bikers. 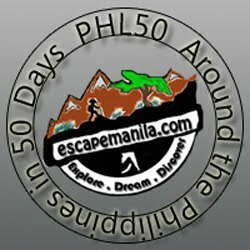 Ranging from beginner to very technical, these trails are all easily accessible within an hour by road from Manila. See information at the bottom on how to go there. Always be sure that your gear is intact, bike and accessories, as very few mountain bike shops are available along the way. It is even advised to pack up with food and drinks. Timberland, a real-estate subdivision project under development, opens the gates of a marvelous biking playground only 5 mins from JP Rizal Avenue - the main road of San Mateo, Rizal. A newly constructed concrete road brings you to the entrance of the subdivision where you can park your car, and from where all the trails start. If you want, you can also park down this road, as the 3km-way uphill is a good warm-up. Do not underestimate that portion, some stretches are quite steep. Right before the subdivision’s parking, a small sari-sari store (Filipino-style convenience store) has everything you need to top-up fluid and glucose levels. Depending on the construction development, you will have to ride plus or less deep into the range to feed you knobbies with dirt and escape concrete. Rest assured however, that after minimal efforts, grandiose sceneries will be offered to you. Possibilities are countless, numerous secondary trails starting from the main one. Some run along the hills and bring you back there. The main trail crosses the area and leads to the road going to Antipolo, making it an interesting loop if you don’t have to pick up you car at the parking. Count around 20kms (most of it paved) from San Mateo to Antipolo. Montalban is a town situated at the northern extremity of JP Rizal Avenue, the main road of San Mateo. Its main assets are the Wawa gorge where is set a dam. The 5-river crossing trail starts at the parking where numerous and simple restaurants have settled, and have made a traditional stopover for bikers. Start with the path leading to the dam. After a 5-minutes ride alternated with portage (there are rocks and bamboo bridges that cannot be crossed on tires), you’ll arrive at the dam. Enjoy the scene of falling water and caves carved within the cliff and head on the continuing trail. Several barrios are scattered along the first kilometers. Watch out the fences or rocks on the middle of the trail. You’ll soon reach the first river-crossing. Depending on the season, the water can reach either your knees or your waist. After several crossings, a smell will indicate the proximity of a dumpsite. It is said that further ahead and several crossings away, you can find a way back to San Mateo. The author of these lines is still looking to find out. There are two ways to reach San Mateo. Passing by Commonwealth Avenue, coming from the Quezon circle in Quezon City, turn right direction Batasan. Go straight ahead, following the main road, in direction of the Batasan bridge. At the end of the bridge, you will be in San Mateo, arrived at the intersection with the main road, turn left. You are now in JP Rizal Avenue, heading north. Passing by C5 : In Katipunan Avenue, avoid the fly-over and turn right in Aurora Boulevard (which becomes Bonifacio at this level). Right after the bridge over the Marikina river, turn left in JP Rizal Avenue (only allowed on Sundays, otherwise take the next left and try to join JP Rizal again). You are on your way to San Mateo. To go to Timberland : A few hundred meters after the intersection with the Batasan road, you’ll see a Mercury Drug on your right. Turn right at the next corner. This little street takes you out of San Mateo, and after 1km, a newly cemented road starts on the left. This is the road leading to the subdivision. You can either park your car and start riding your bike here (a harsh but enjoyable uphill awaits you) or play it easy and park at the top. To go to Montalban : Once in JP Rizal, just go straight until the road ends. There, you’ll find a parking and several stores and canteens.